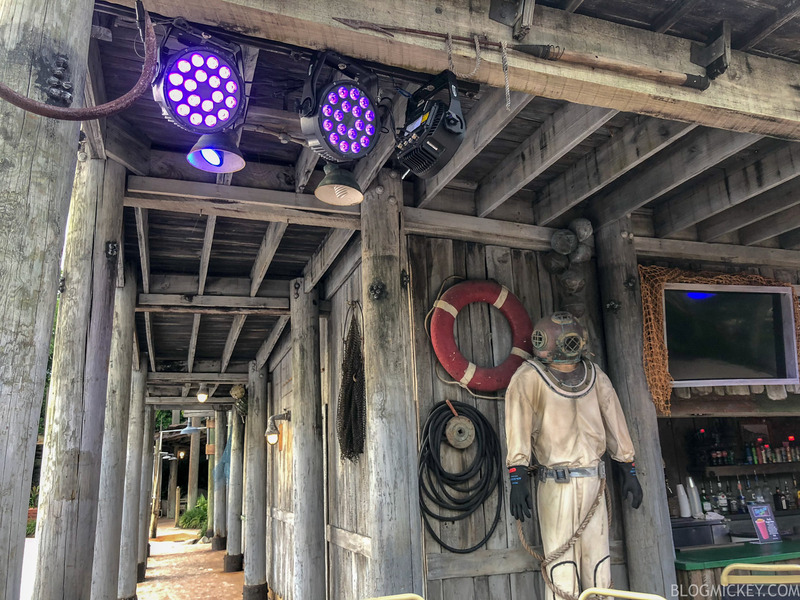 As part of Disney’s resort-wide “Incredible Summer”, guests are able to attend a nighttime party at Typhoon Lagoon called Disney H2O Glow Nights. 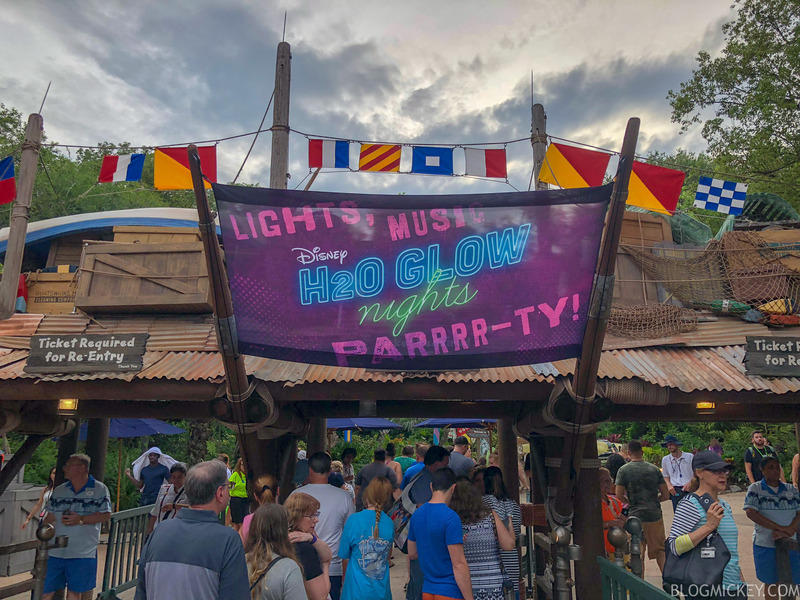 Taking place on select nights throughout the summer, Disney H2O Glow Nights is a 3-hour event that promises to transform Typhoon Lagoon into an electric celebration overflowing with splash-tastic surprises. 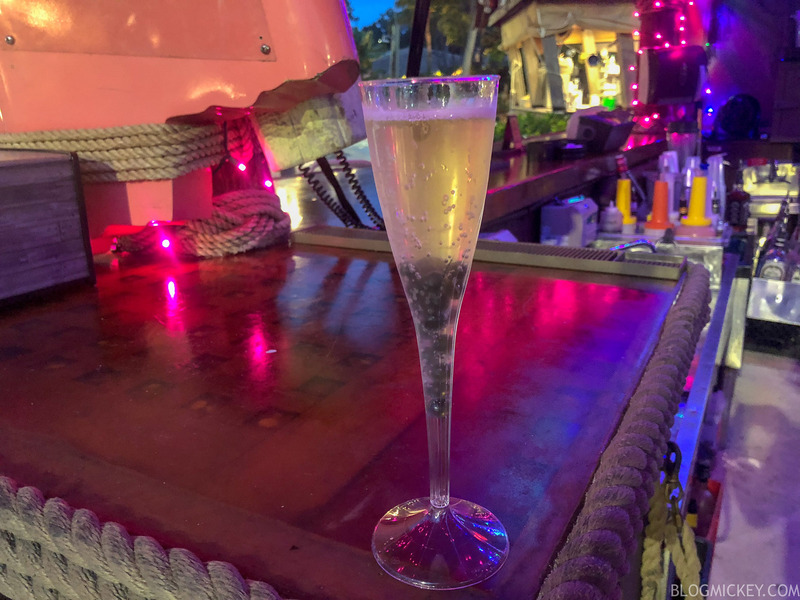 We were able to attend the debut party last night as part of a free Disney Parks Blog meetup. The event is normally $55 for an adult or $50 for children ages 3-9. First, here’s a look at the event guide handed out to guests. 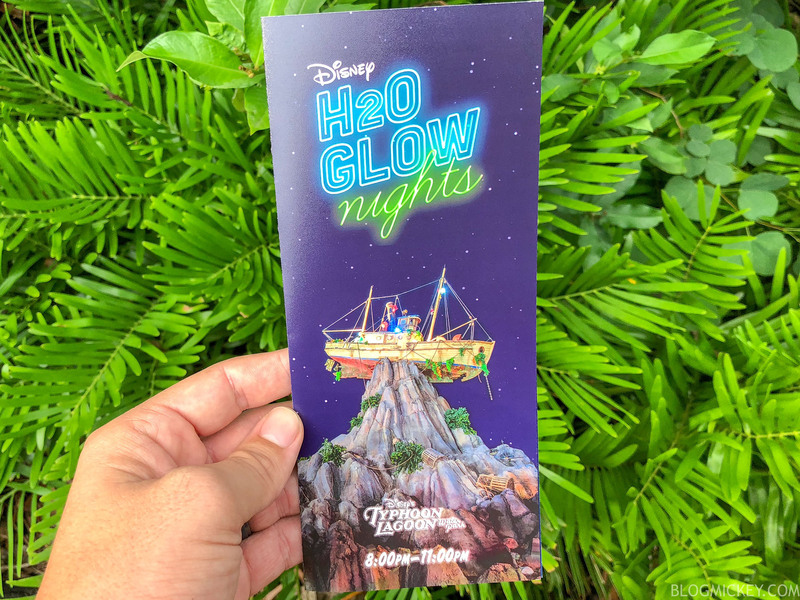 While the festivities aren’t scheduled to start until 8pm, guests with a Disney H2O Glow Nights ticket may enter Typhoon Lagoon starting at 7pm. Here’s a look at the scene at 7pm. Upon entering, guests will be given an event wristband, just like they would at a holiday event at Magic Kingdom. 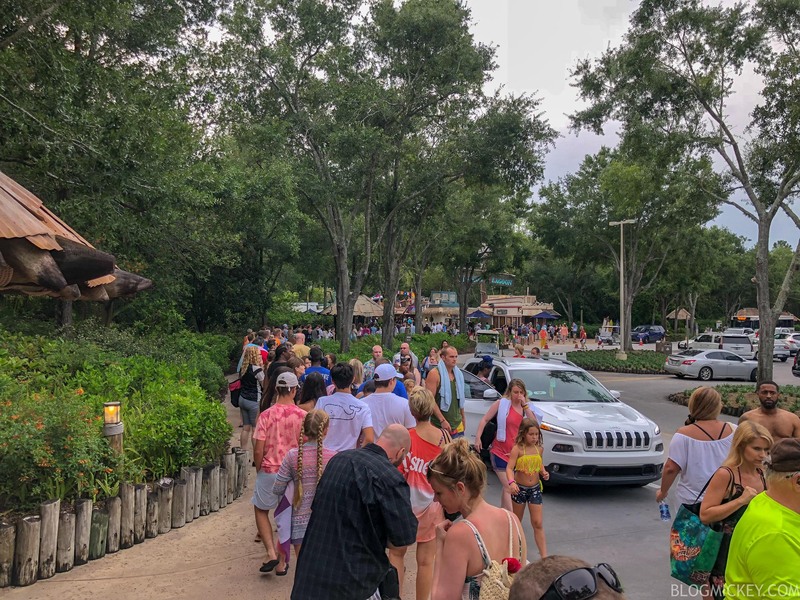 Just like a special ticketed event at Magic Kingdom, guests will have access to all of the attractions, dining, and shopping as regular day guests, but don’t expect the event exclusives to be available before 8pm. Starting at around 8pm, the attractions and wave pool are closed. This allows some time for guests who are not attending the event to exit the park. Unfortunately, this means that you’ll be waiting almost 30 minutes until you can start to enjoy the park amenities. That said, once the park is clear from day guests, you’ll get a rare chance to experience the park with very minimal waits. 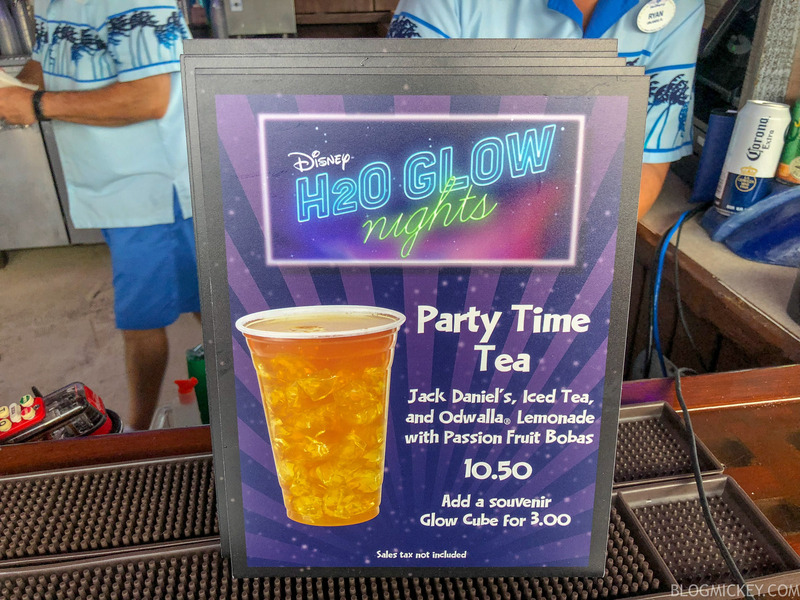 As far a specialty items for the event, it might be incorrect to say that there were no specialty food items, but there were very limited items. The vegan Impossible Burger can be found at Leaning Palms as they are a presenting sponsor for the event. 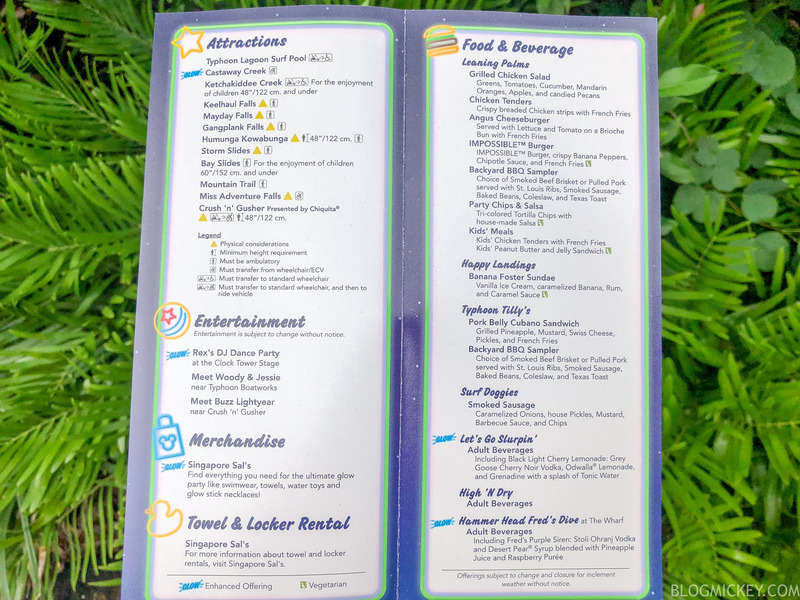 Guests can also find some items not on the daytime menus like the Backyard BBQ Sampler and the Party Chips & Salsa. Not a very big lineup of event exclusive eats. 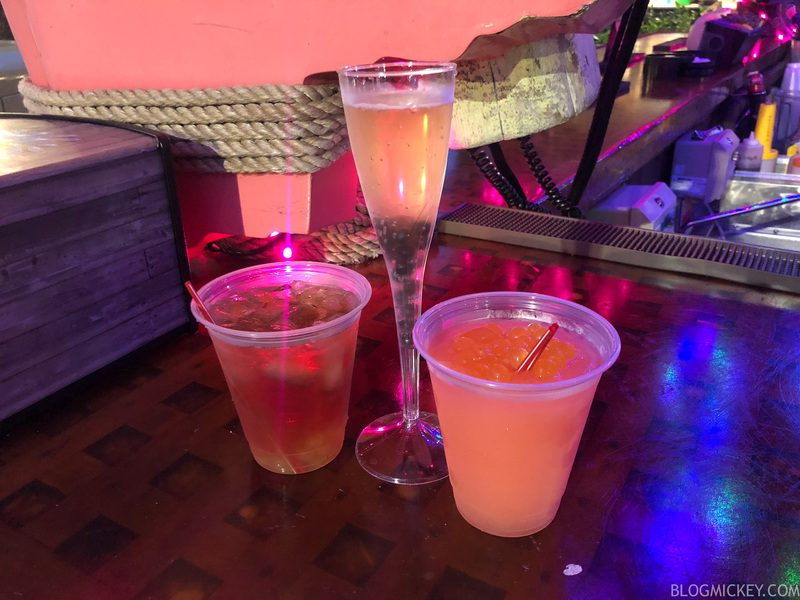 As far as drinks go, you can find four specialty beverages spread across two locations. First, up is Let’s Go Slurpin’. 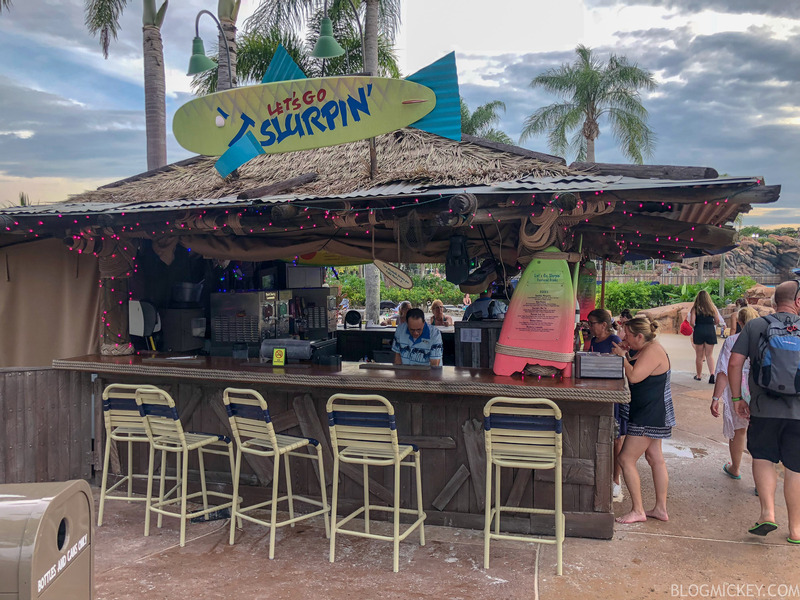 Located next to the wave pool, Let’s Go Slurpin’ had three of the four specialty beverages. A light, flavorful, and fruity sip can be enjoyed in a plastic flute for the price above, or in a light-up champagne flute for $14. It was certainly an enjoyable drink and the blueberry bobas were a nice touch. 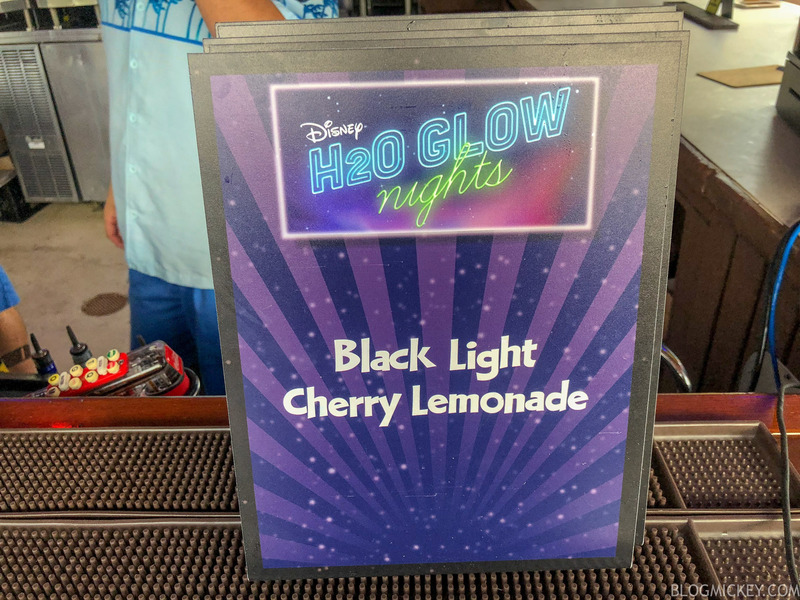 The Black Light Cherry Lemonade was the best of the three drinks offered here. A subtle cherry was paired with a predominant lemonade flavor was enhanced with more bobas. This frozen drink really hit the spot during the hot and humid evening. The Party Time Tea suffered from an improper mix. 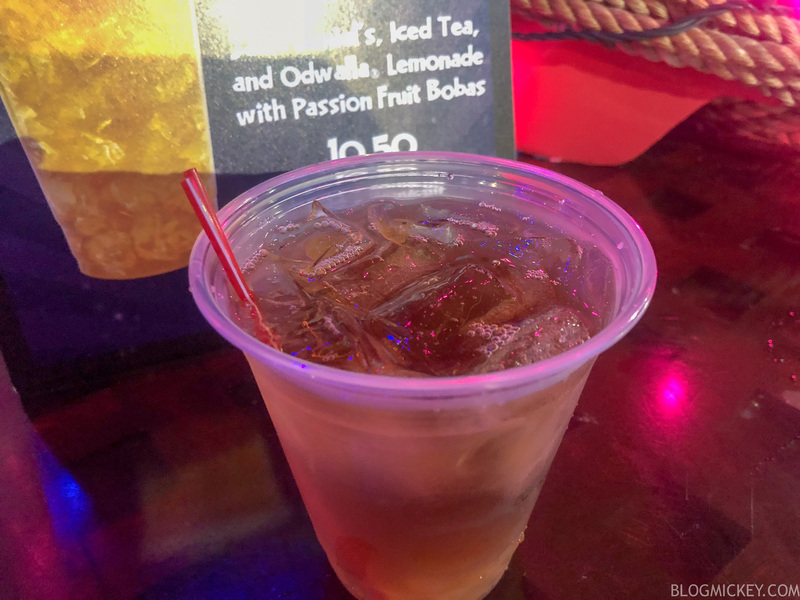 The Jack Daniel’s didn’t pair well at all with the iced tea, leading to a mix closer to alcohol and water than anything that resembled an ice tea flavor. Forgettable. 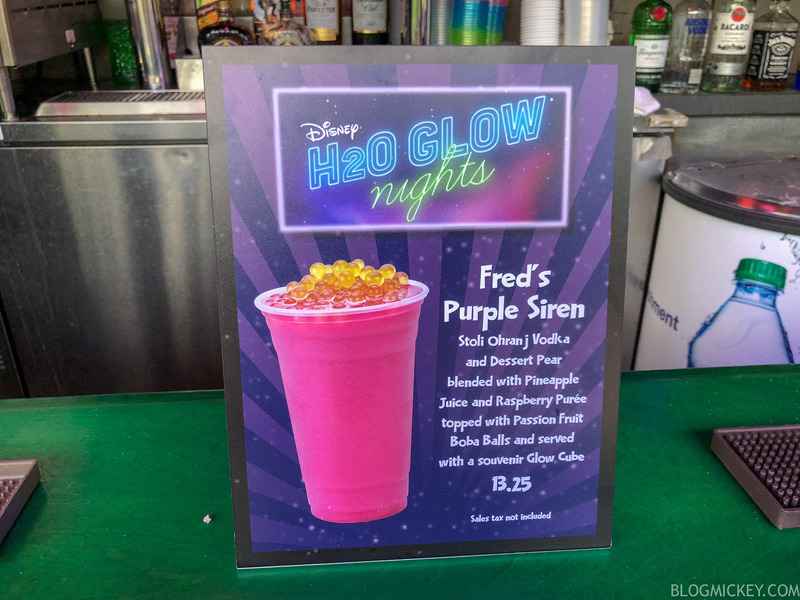 The fourth specialty drink can be found at Hammerhead Fred’s Dive Bar at the former site of Shark Reef. While we didn’t try this one, it sounds wonderfully fruity! If the food and drink options were underwhelming, the merchandise was inexcusably disappointing. Disney took the easy way out on this one and provided zero branded merchandise for the event. The closest thing we got to properly branded merchandise was a glow stick with the Typhoon Lagoon logo printed on it. Besides that, they rolled out generic Toy Story Merchandise that can be found in any park and Disney Springs. Really poor effort here. 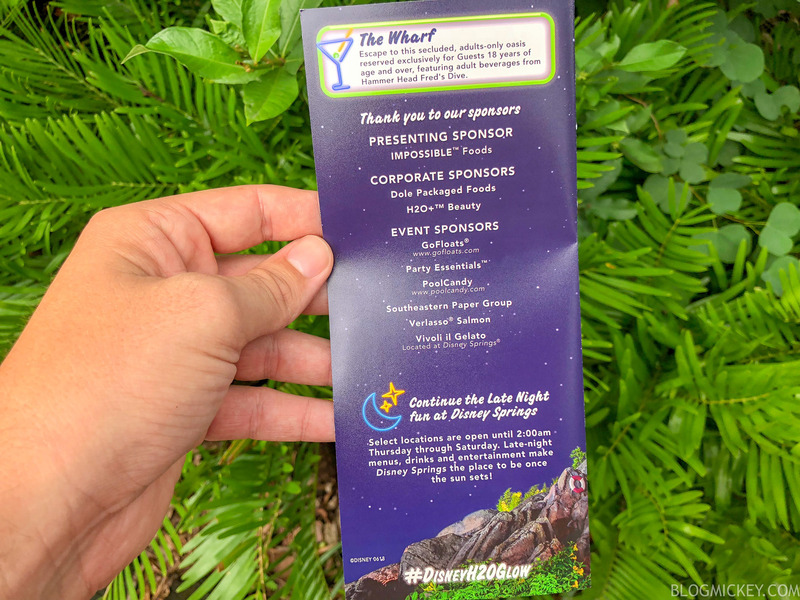 Disney handed out an event guide to everyone in attendance that denoted the enhanced offerings for the event. We’ll give a quick rundown of the offerings. Castaway Creek – Disney purchased some animal themed floats off of Amazon.com such as penguins, ducks, parrots, dragons, and eagles. This is limited to this event only and keeps with the story from the Partysaurus Rex short. 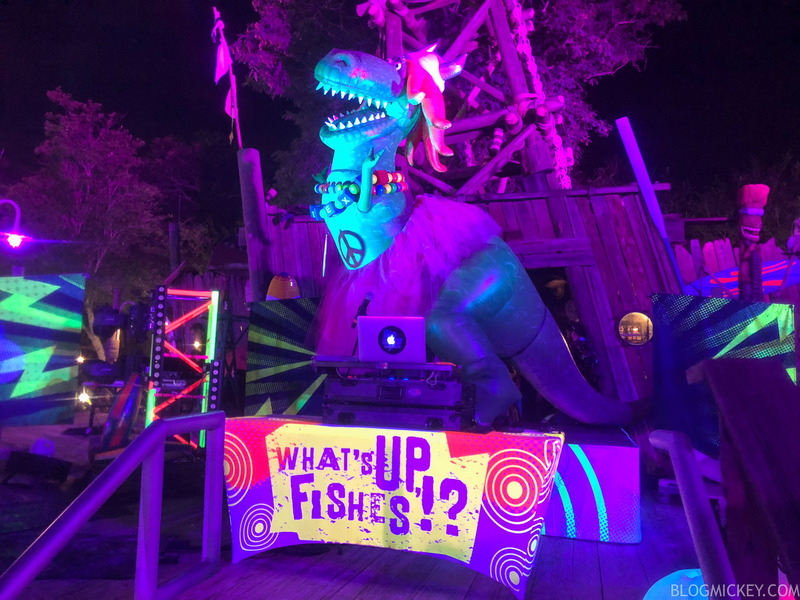 Rex’s DJ Dance Party – A live DJ was spinning a mixture of Top 40 and party songs. 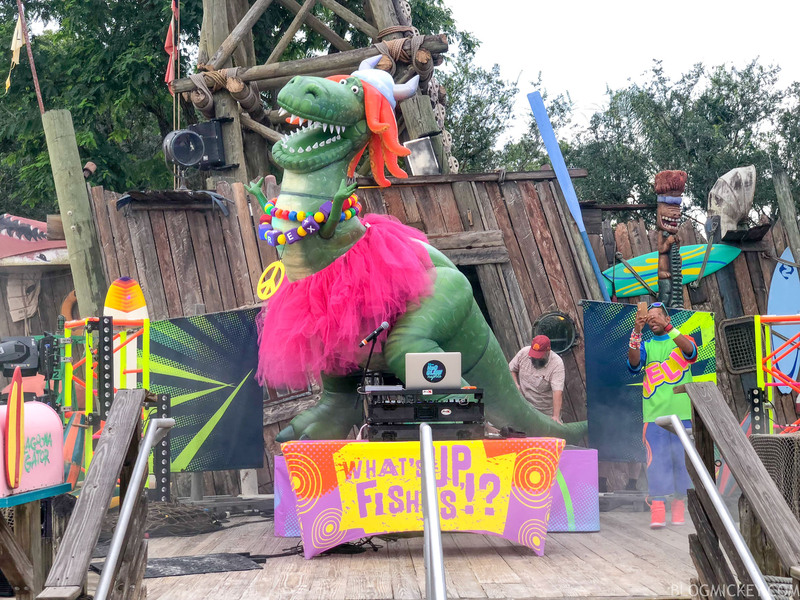 Perched on the stage was a 14 foot tall Partysaurus Rex inflatable. Singapore Sal’s – We covered it above, but to say that this merchandise shop contained “enhanced offerings” was a bit overinflated. 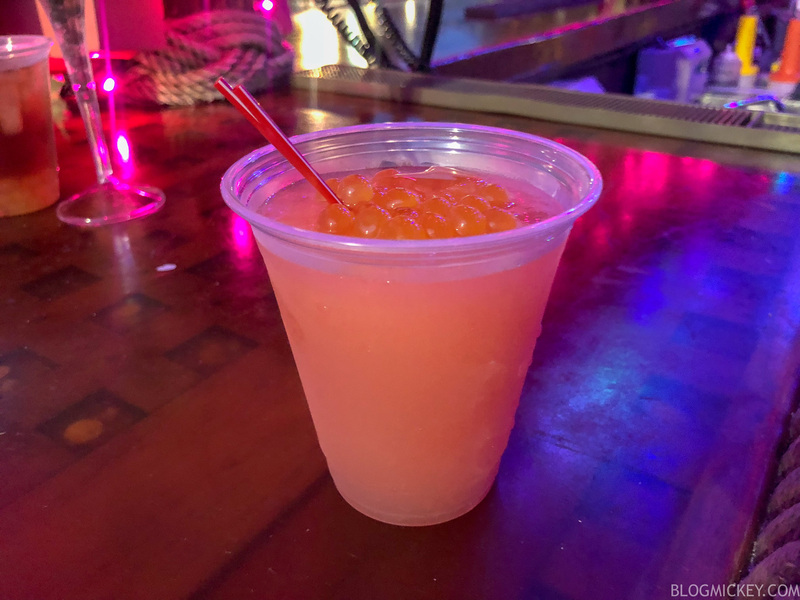 Let’s Go Slurpin’ and Hammerhead Fred’s Dive Bar – four specialty drinks can be found at these locations and most of them were good! 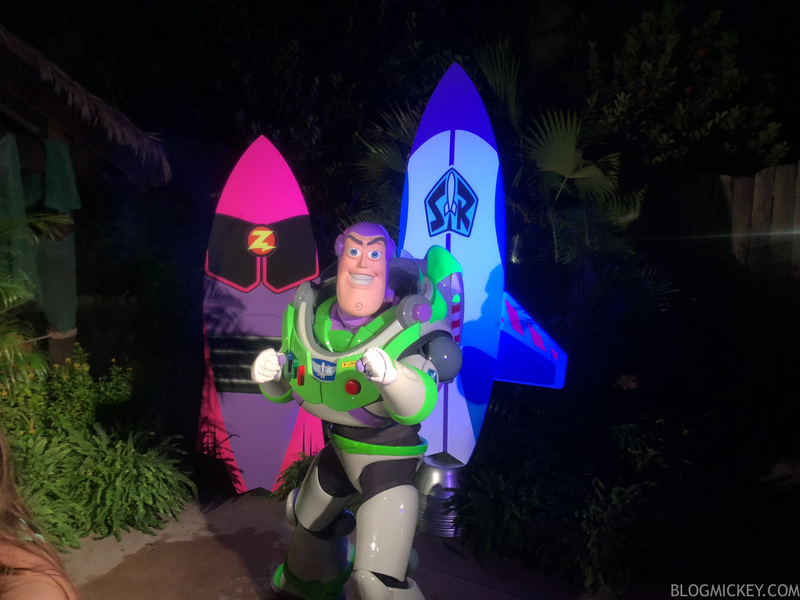 Meet and Greets – while it’s not listed as an “enhanced offering”, there were two meet and greet locations that saw Buzz Lightyear near Crush ‘n’ Gusher and Woody & Jessie near Typhoon Boatworks. While you can meet all of the characters in the parks (with Jessie returning to the parks when Toy Story Land opens), there are some exclusive surfboard backdrops that made for a nice quick picture. The Wharf – This was supposed to be an “adult-only oasis”, but turned out to be a guy on a guitar and hula hoops. Some standard lights were swapped for black lights, but it ended up being one of the biggest disappointments of the night. 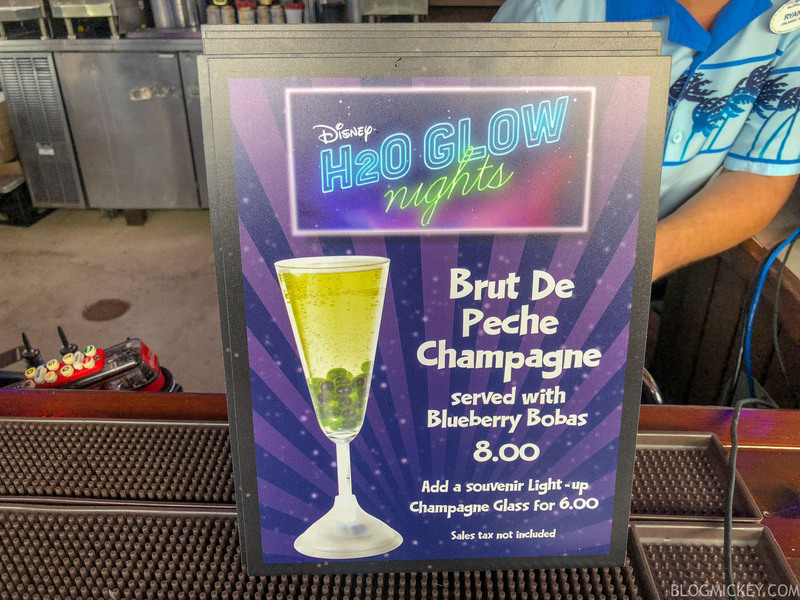 For an event billed as “the ultimate glow party”, the theming was disappointing. 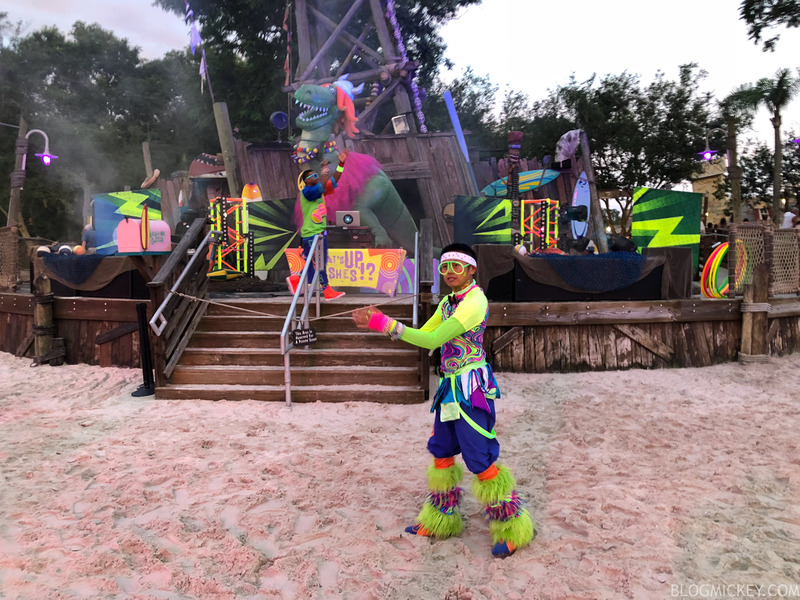 Outside of the main DJ stage, there was literally zero “glow party” theming. All of the attractions and spaces were as you would see them during the day. 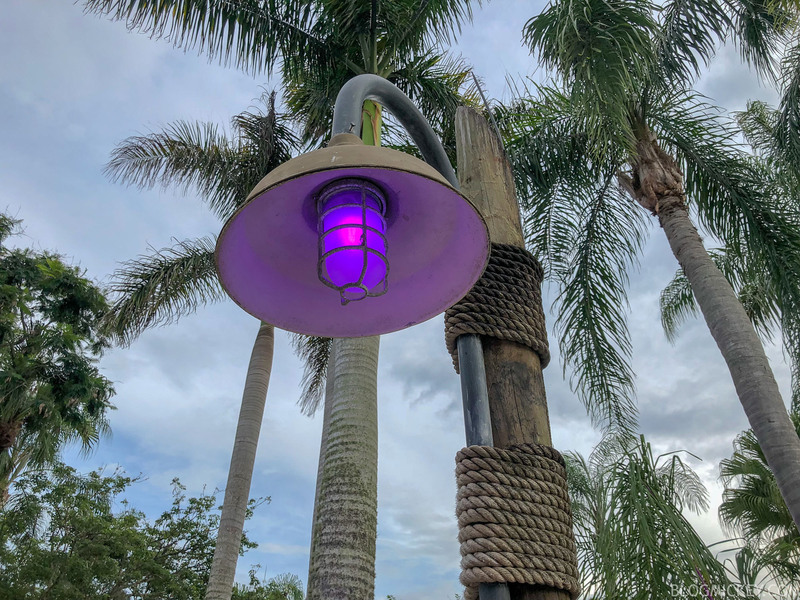 We would have loved to see some rope lighting or something at the attractions or even just walking around. As far as any Toy Story theming, again, it was limited to the DJ stage. 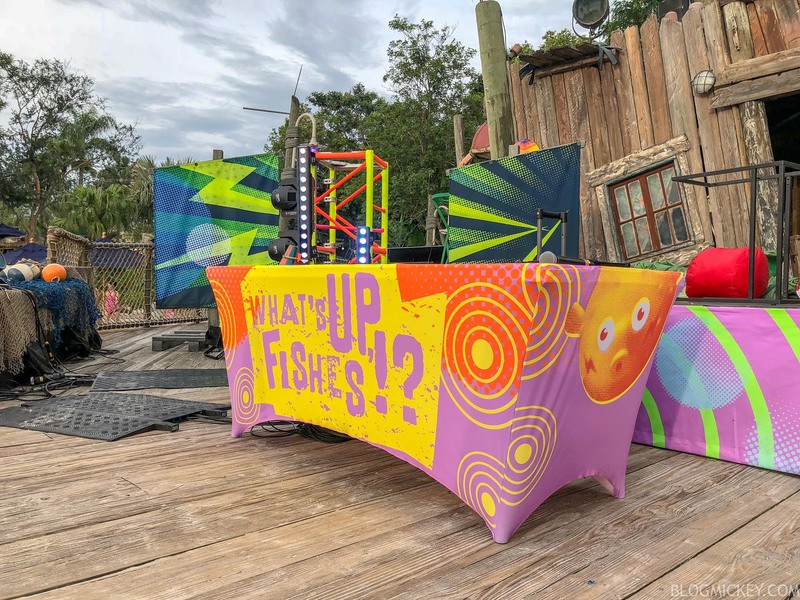 Really disappointing for anyone who might read the description on Disney’s page for the event, “the atmosphere transforms into an electric celebration overflowing with splash-tastic surprises”. With some of the more negative aspects of the event out of the way, let me tell you why we’ll be returning. We won’t be returning because the event offered something amazing for Toy Story fans or a lot of exclusive items, but rather for the atmosphere. The park was very empty, which meant that all of the attractions were either walk-on, or a 5 minute wait. I would say that the lack of guests was due to light attendance rather than a limited amount of tickets sold, as the event didn’t sell out. 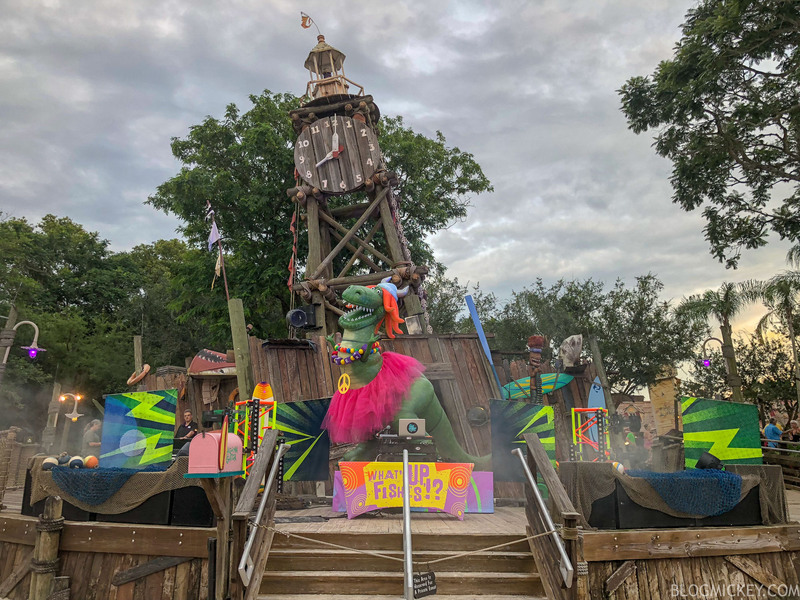 Just like some of the first Mickey’s Not-So-Scary Halloween Party events of the season, fewer people in attendance makes for a really enjoyable park experience. The lazy river wasn’t nearly as crowded as you would find it to be on a typical summer day. 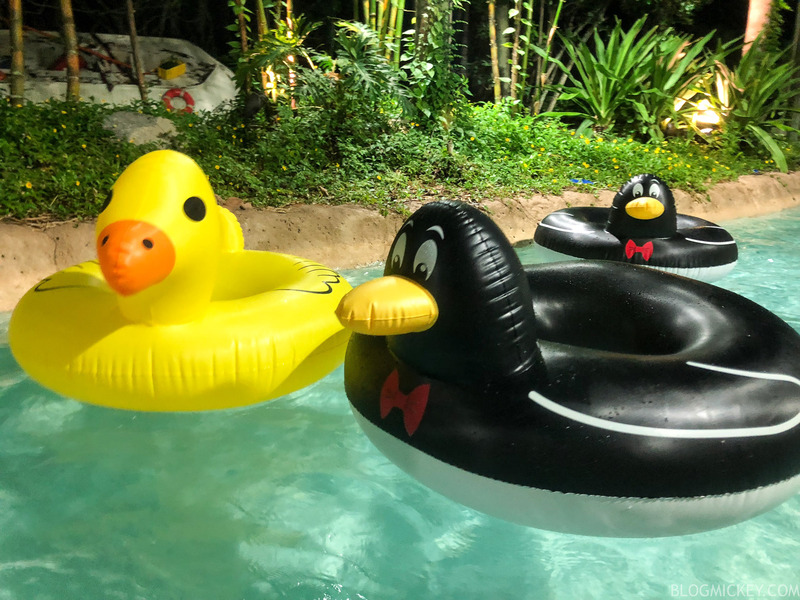 There were plenty of tubes floating around and while we would like to see the number of specialty floats (glowing and animal) increased, our party of 5 people was able to secure some specialty floats with 10 minutes of searching. With floats in tow, we made a lap around Castaway Creek with minimal bumping or blockage. We never waited more than 5 minutes for a slide, including the park’s newest offering Miss Adventure Falls. While the 3 hours flew by (increase it by just an hour, Disney), we were able to maximize our time thanks to minimal waiting. Finally, the ability to experience the park at night is something so unique and fun that’s worth doing once. Disney turned the wave pool up a notch, churning the water in between waves, which was something we hadn’t seen before. 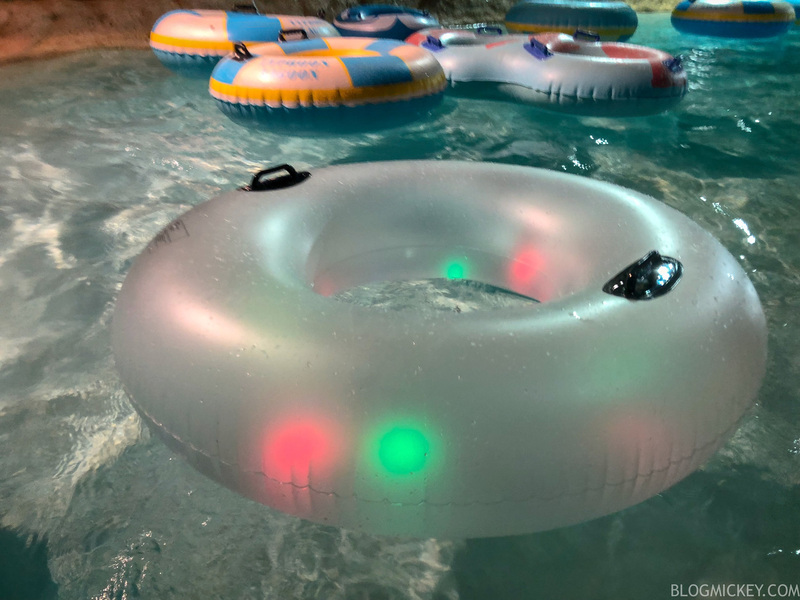 Fans of the wave pool might want to actually skip it and hit up the slides first, because Disney ensured that the last 30 minutes of the event was non-stop waves. It was a cool way to end the night, enjoying the huge waves with the DJ spinning on the beach, close enough for you to be able to enjoy both. Overall, if you’re looking for a unique Toy Story experience, this isn’t it. 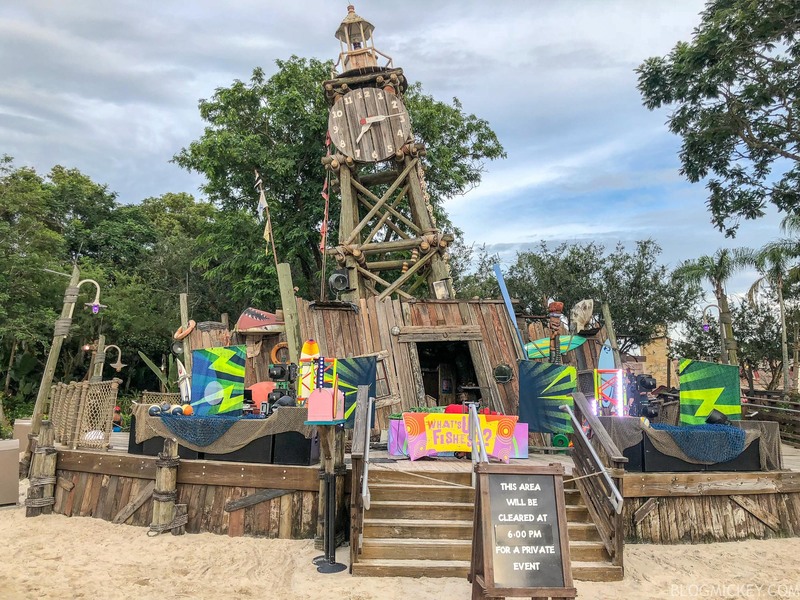 It’s a lightly themed event that offers you the type of access to Typhoon Lagoon at night that has previously been reserved for Disney Vacation Club Member events and Cast Member parties. 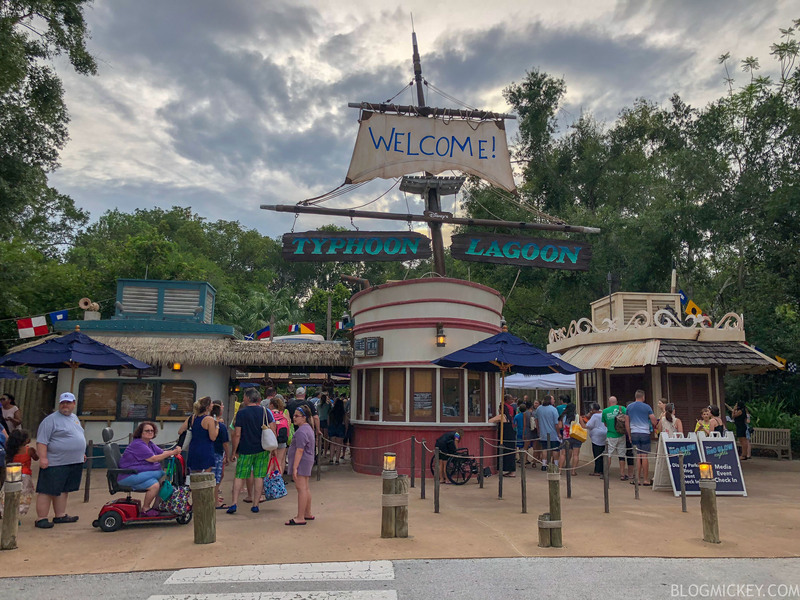 If you’ve never been to Typhoon Lagoon and are looking at this as an introduction to the park, it’s an opportunity to get all of the rides in if you move quickly. 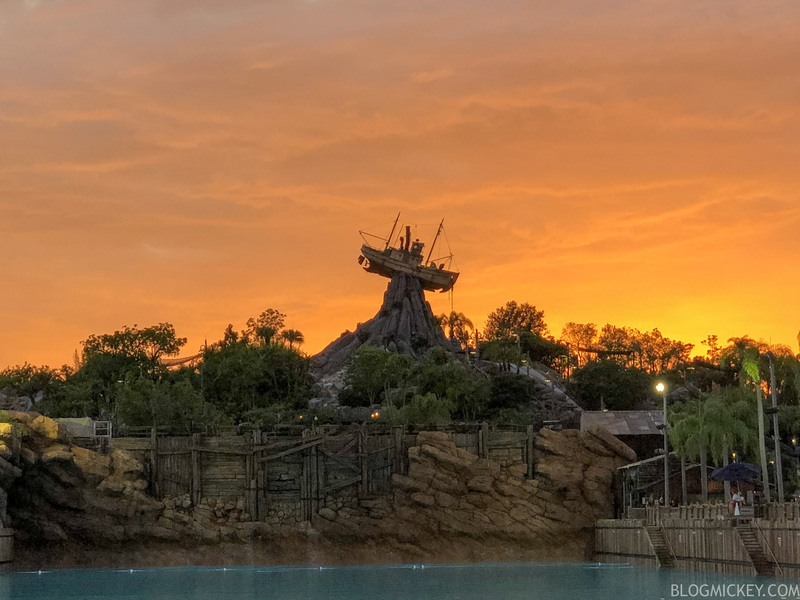 That said, I think any water park is about relaxation and you might want to consider giving Typhoon Lagoon a full day for your first visit. 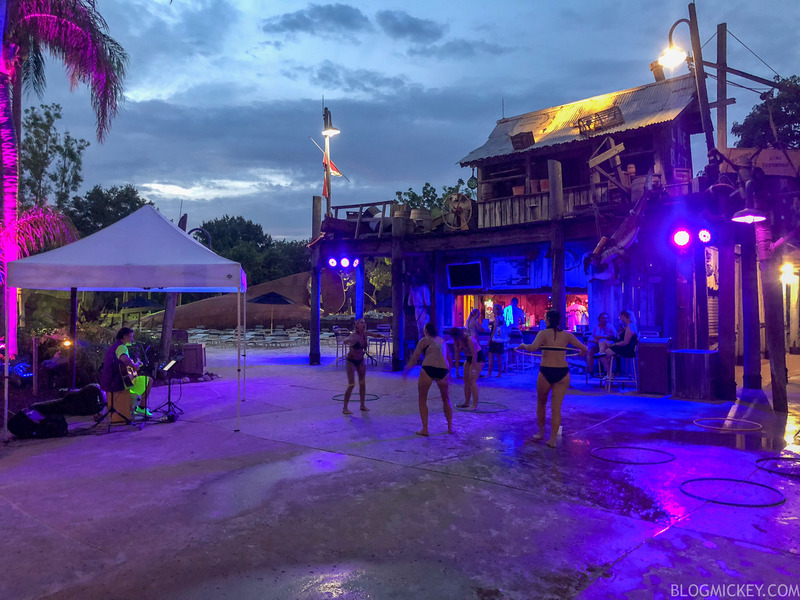 If you’ve done Typhoon Lagoon during the day and enjoyed it, I have no doubt that you’ll love coming back at night for Disney H2O Glow Pool Party.